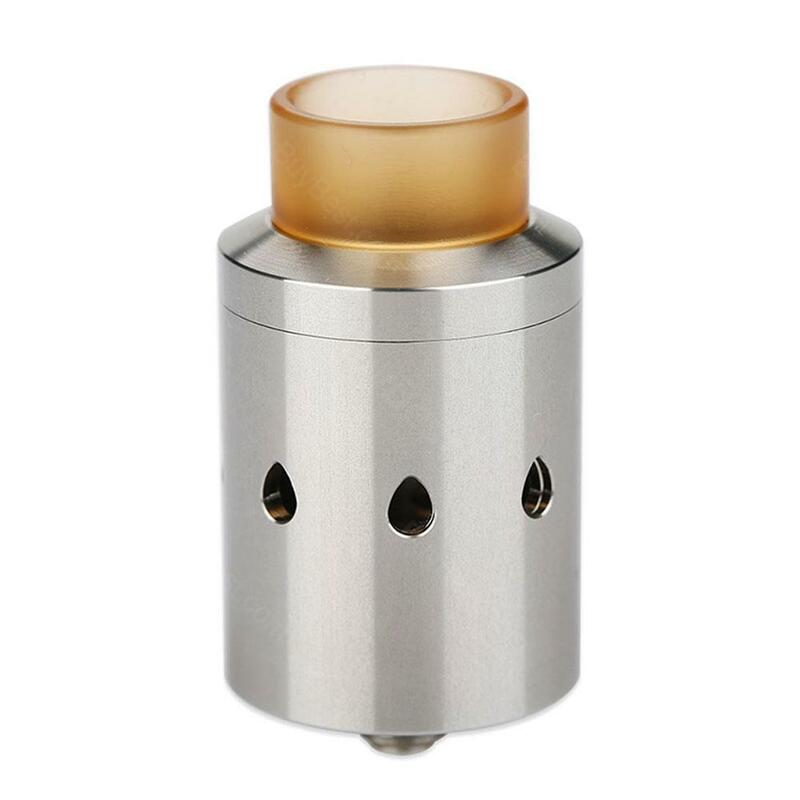 The Cthulhu CETO Mesh RDA atomizer is made of 304 stainless steel and Ultem, with 510 thread. The maximum width of mesh is 10mm. This RDA comes with a bottom feeder pin, which is compatible with squonk mod. Black and silver colors for your selection. The Cthulhu CETO Mesh RDA atomizer is made of 304 stainless steel and Ultem, which is the First SS Mesh RDA. It has a 810 drip tip and it is also for 510 drip tip by a 510 drip tip adapter. The RDA features easy Clamp post to lock mesh and the maximum width of mesh is 10mm. This RDA comes with a bottom feeder pin, which is compatible with squonk mod. Adjustable fice drop shape air holes will offer you a wonderful vaping experience. Black and silver colors are available. • It doesn't come with liquid, you need to buy separately. • 510 thread, can work with most 510 threaded batteries/ MODs. • CETO MESH RDA can work well with TC(Temperature Control) mode. Got Cthulhu CETO Mesh RDA Atomizer for my boyfriend. He LOVES it and couldn't stop using it!